Engadget have spotted the Acer Iconia M500 with MeeGo on a Intel Atom CPU. 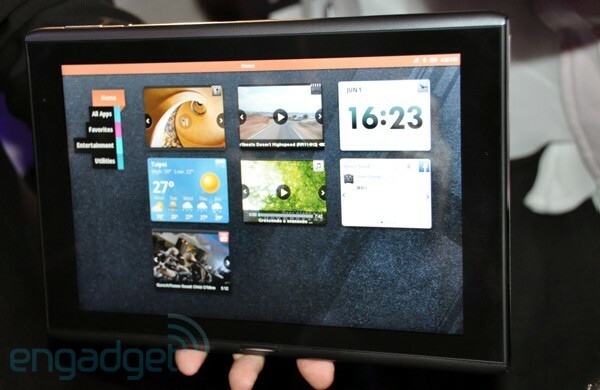 There’s a video demo of this Acer MeeGo tablet in action. At least in some way, it feels like we’ve got a Nokia MeeGo device, no? The UI is much like Acer’s Iconia dual screen laptop. I’m not sure if you’ve seen that but go search for it and check it out. This is the flexibility of MeeGo.